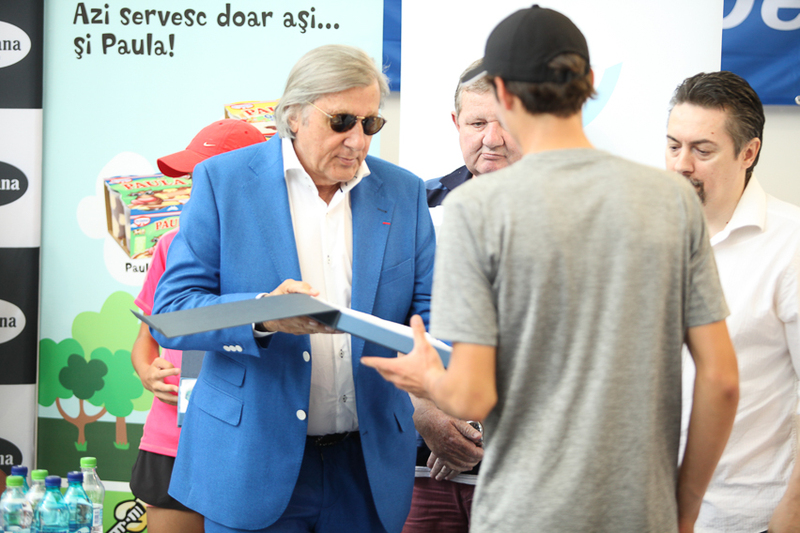 Ilie Nastase professional tennis player ,managing director at Dr. Oetker Romania Ioan Cozma and Fr Tennis president George Cosac awarded young tennis players at the conference within the seventh edition of Dr. Oetker Junior Trophy ,which had taken place at the Tennis National Centre in Bucharest. 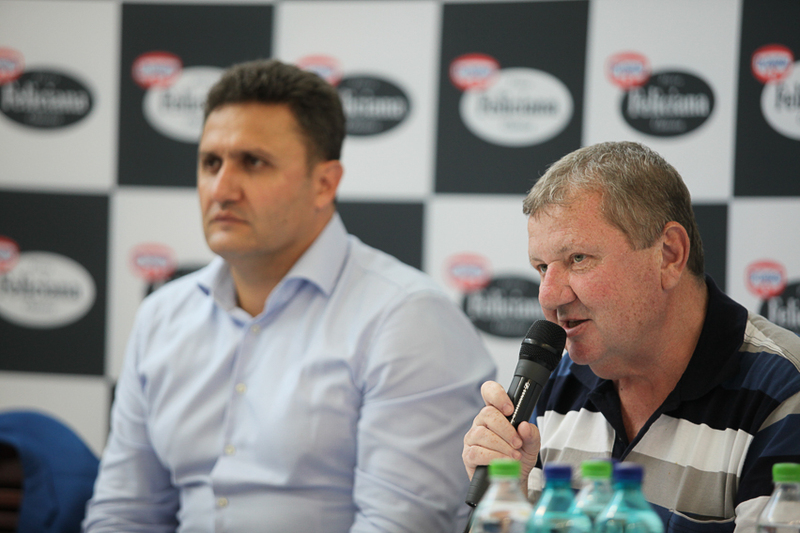 “I am really happy that we made it to the seventh edition and we were also able to invite our best player ,Ilie Nastase. 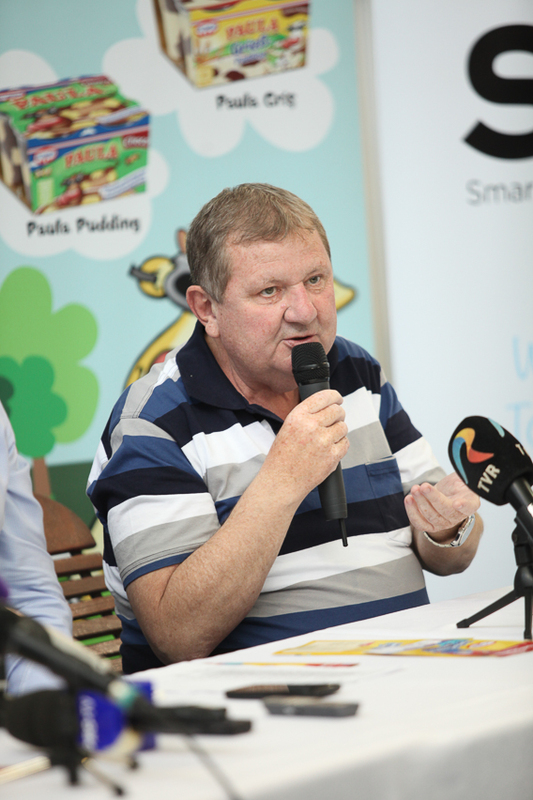 The importance,quality and value of this competition increases from year to year and this makes us unimaginably happy . There is no big difference between this tournament and Petit As from Paris .We are evolving rapidly ,all we need is perseverance and determination so that we can achieve all of our goals. Because of the excellent results of the new generation ,tennis has a great impact on children and this is a good sign .The new generation grows ,develops and all of our hard work will pay off .This year we are going to organize, at Tennis Club Curtea de Arges , two ”Futures” tours ,where the winner receives 15.000 euros,an invitation to Inedit Open Tour , Seniors ITF and Vitality Open Tour ,Seniors, Arges Cup, U16 Tennis Europe and also the “Victor Hanescu” trophy! –declared Ioan Cozma , managing director of Dr. Oetker. The “Young Talents” trophies had been handed over to Alexia Marginean and Luca Preda by Ioan Cozma ,general director of Dr. Oetker. “Here we are at the seventh edition of Dr. Oetker Junior Trophy. It has become a tradition that this competition, which is the most important in south-eastern Europe ,to be held in Romania. It’s so heart-warming that the competition level rised this much , judging by the number of competitors and the quality of this event. We are happy to be surrounded by these athletes at the table ,they are the future. And , without a powerful supporter like Dr. Oetker , we never would’ve got it done. 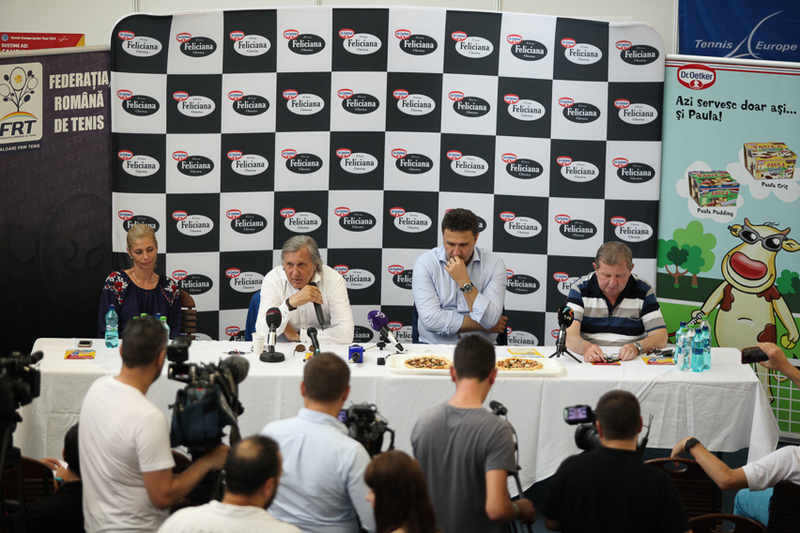 Dr. Oetker is the only real partner that have supported the federation in organizing the most important events like Fed Cup ,Davis Cup, WTA tour, this competition ,which focuses on children and will continue to help us organize numerous tours like “futures”. Dr. Oetker is the main sponsor and partner for FR Tennis and we are very thankful for this mainly to Mr. Ioan Cozma ,managing director of Dr. Oetker.-said FR Tennis president George Cosac ,who was going to hand over the trophy to Nini Gabriel Dica. At the meeting it has also been announced that Fair Play Trophy is going to be offered for remembering Florenta Mihai ,which is going to be handed out by Catalina Cristea .An autography session also took place with Ilie Nastase and Victor Hanescu at the Pizza Felicina stand by Dr. Oetker. 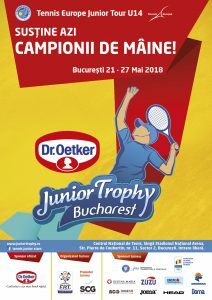 At the seventh edition of Dr. Oetker Junior Trophy ,(an international competition within Tennis Europe ,category 1 ,which takes place during this week at Tennis National Centre in Bucharest ),there are going to compete 156 athletes from 26 different countries.